Yo-Yo Store REWIND is proud to officially announce the opening of our new U.S. based store, YO-YO USA. 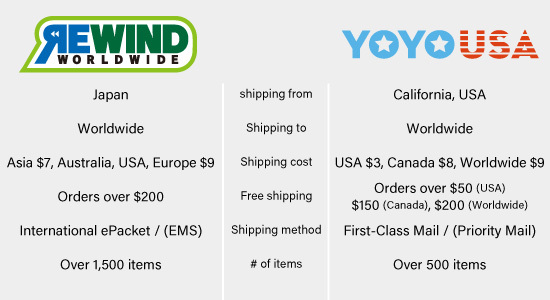 Beginning as an eBay store aimed mostly at beginners, YO-YO USA has been serving yo-yo players since 2007. Now, U.S. National 4A Champion, Zac Rubino, is running it as a fully functional web store with support from REWIND. With the re-opening of YO-YO USA, our customers in the United States and Canada will now be able to enjoy speedier access to much of the world class selection Yo-Yo Store REWIND has to offer.